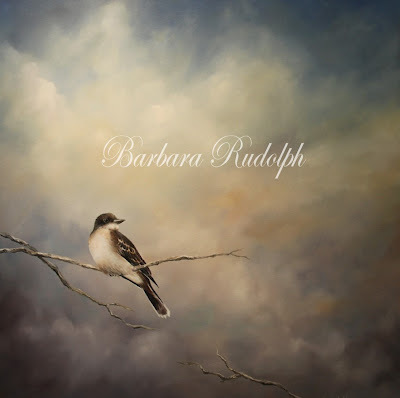 Barbara Rudolph Fine Art: Painting Eastern Kingbird - "Sky King"
This new oil painting of an "Eastern Kingbird" is sitting on a branch against the sky. The photograph came out a little dark, but the sky in this painting turned out really nice. I chose to paint a neutral colored bird like the "Eastern Kingbird" because I wanted to keep the eye focused on the sky in the painting as much as on the bird. It is now available at the "Celebration of Fine Art." The show runs until the last Sunday in March. For more information about this 24 x 24" oil painting you can contact me. I congratulate you for your work explendido me look a very good job, greetings.